The Center for the Arts in Grass Valley (“The Center”) is pleased to announce that Amber Jo Manuel has been named Executive Director starting January 10th, 2018. 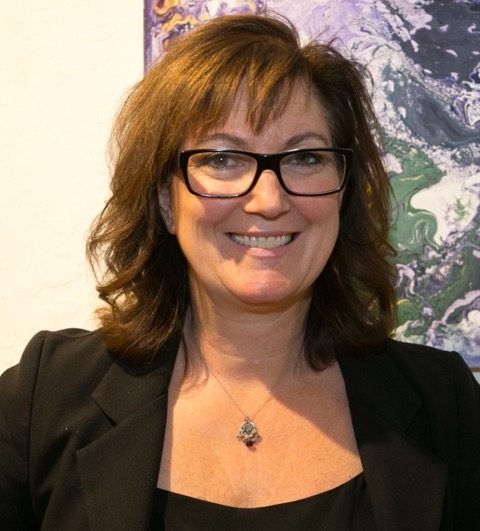 A native of Nevada City, Amber Jo worked the last 17 years in marketing and development for not-for-profits arts organizations in New York City and the Bay Area, until she returned to Nevada County in the Fall of 2016 to join The Center for the Arts as its Director of Development. Since September 16th, Amber Jo has been the Acting Executive Director in addition to leading a major capital renovation project that will begin construction in 2018. The Executive Director position is critical to the success of The Center, so the Board pursued a thorough process to attract & review qualified candidates. We solicited applications nationally and received over 35 applicants from which we selected the 7 most qualified for detailed interviews. While three of those candidates were deemed very well qualified, none more so than Amber Jo Manuel, our current Acting ED. The board voted unanimously to appoint Amber Jo as The Center for the Arts Executive Director to lead the Center into an exciting future of excellence in performances, events, educational outreach, the WorldFest festival and a major facility expansion project. Previous to The Center for the Arts, Amber Jo held the position of Director of Development at San Francisco’s American Conservatory Theater, where she successfully led a $33 million capital campaign for ACT’s second stage, The Strand Theater, which opened in the mid-market district in May 2015. Prior to ACT, Amber Jo was involved with capital campaign fundraising and development efforts at both Cal Academy of Sciences and Berkeley Repertory Theater. Amber Jo and Pepper will be leading an outstanding staff team that presents more than 125 performances a year at our downtown Grass Valley facility as well as presenting an exciting music festival, WorldFest, held at the Nevada County Fairgrounds in July. These performances attract audiences of all ages, and patrons from our local Community as well as outside the area including Placer County, Sacramento, Tahoe, Reno and the Bay Area. Board President Betsy Swann Brown commented, “We are fortunate to have someone of Amber Jo’s background and experience who will be able provide insight as The Center enters its next area of growth and through the upcoming capital campaign that will greatly improve our venue. As a non-profit offering a wide array of programs, including free family and youth events, The Center relies on support from generous donors and members totaling over 3,000 individuals, businesses, and other organizations. The Center for the Arts has become a hub of the arts for Nevada County and offers a variety of events to a large demographic. Performances are presented for audiences of all ages. The Center is committed to bringing a diverse array of programming including music, dance, theater, film, visual art, comedy, youth arts education and literature. The Center manages and maintains a multi-use 21,000 square foot facility in downtown Grass Valley which includes a 300 seat Main Theater, two visual art galleries, classroom space, and a 90-seat black box theater. The Center further provides marketing and production services to support local artists and arts organizations and collaborates with other area non-profits to provide event services and fundraising support.